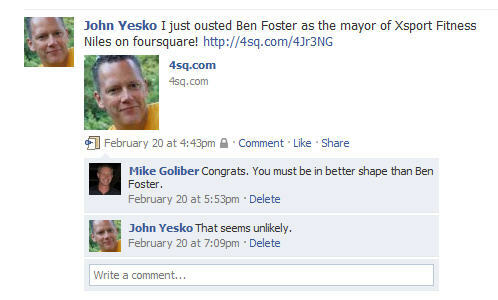 As I write this, I am currently the Mayor of Roundarch on foursquare. What does that mean? Does anyone care? These are fair questions. One way to think about it is like a location-aware version of Twitter. 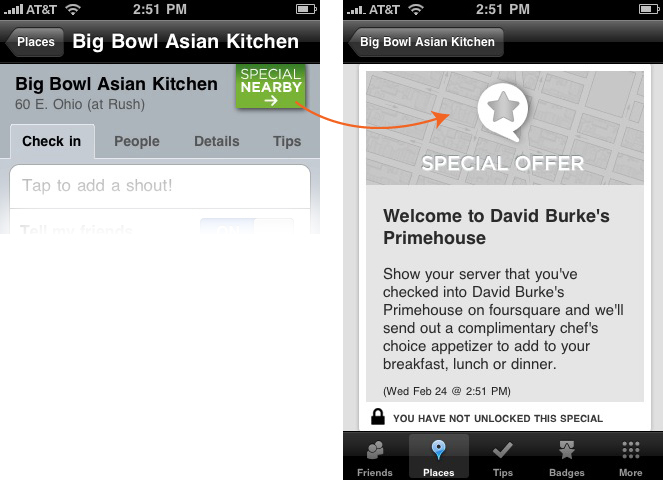 foursquare works on mobile phones such as the iPhone, BlackBerry, and Droid. 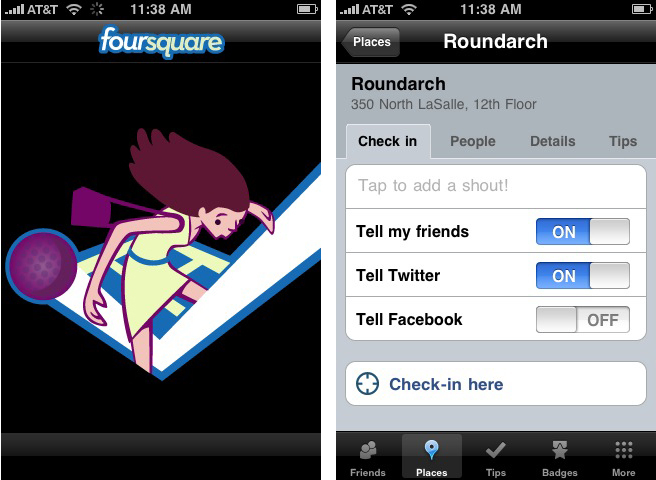 The general idea is that anytime you go somewhere, you “check in” with the foursquare application on your phone. First, foursquare will provide a list of nearby points of interest where it thinks you might be. If your location is already in its database, you can simply choose it from a search results list and check in. If not, you can manually enter the venue and it becomes part of the database. You earn points and “Badges” for various activities, such as your first time at a new location, a certain number of stops at a given location or in one day, etc. While checking in, you can choose to add a “Shout,” which is just a short line of text about what you’re doing (thus the comparison to Twitter). foursquare also encourages you to leave “tips” about the location. Your foursquare “Friends” can be alerted of your check-ins if they so choose, and the program can be configured to automatically update your Twitter and Facebook pages as well. Doing so posts a link back to a page on the foursquare website for that location, as well as any milestone the user has attained with that check-in. So what’s this “Mayor” nonsense? Whoever has checked in the most times at a specific location becomes the Mayor. At Roundarch, my co-worker Rachelle Bowden (who contributed to this post) and I have traded the Mayor title back and forth for the past couple of months. It makes for some pretend water cooler contentiousness, but it doesn’t get either of us anything. The Mayor doesn’t get to take the day off or fire one person of his or her choice. There are a few others at Roundarch who play – not too surprising since we’re a Web design and development company. 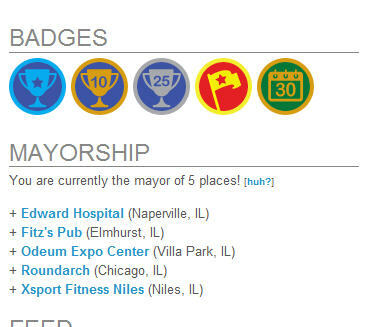 But at the other places where I’m Mayor – my gym, a local bar – there’s a good chance that I’m the only person who’s ever checked in, or even heard of foursquare for that matter. So I’m essentially the Mayor of nothing. To quote my father, “Why would anyone do that?” Good question. While foursquare is mostly just for fun now, businesses are starting to take note and rewarding users’ behavior. For example, a bar or coffee shop might recognize the current Mayor with free drinks. Wow Bao and Berry Chill offer such incentives here in Chicago. Chicago’s has recently started a partnership with foursquare, where users can earn special Chicago “badges” by checking in at a number of citywide locations relevant to one of three iconic Chicago themes:Chicago blues,Chicago-style hot dogs, andChicago film locations. A partnership has also been announced with Bravo TV, integrating show personalities and their city tips, as well as a Bravo badges, into the game experience. More recently, the “Special Nearby” tag started appearing on the application alongside certain locations. Clicking it serves up a local advertisement, tied into foursquare. 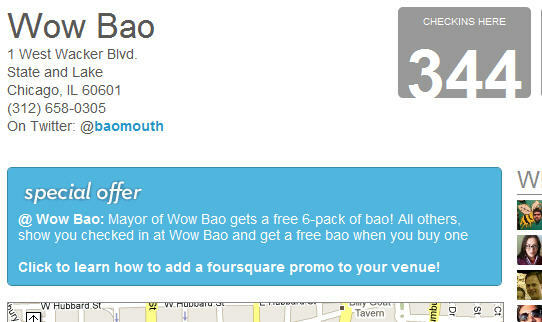 So in that way, foursquare can drive foot traffic to a business. 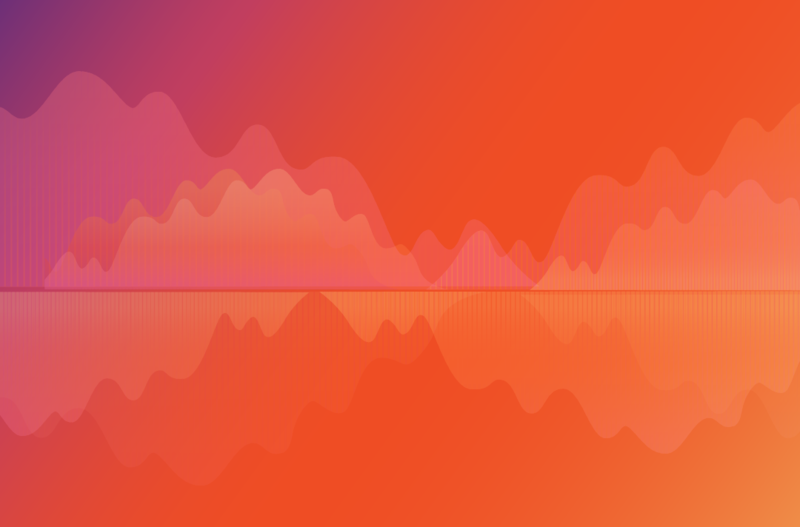 Behind the scenes, foursquare is building a database of user behavior. 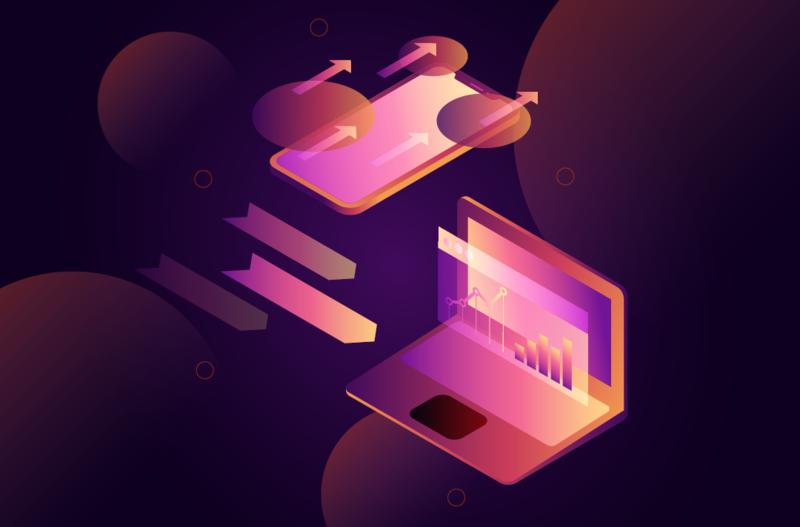 This information can be valuable to businesses, as they will be able to gain access to analytics about their customers and make decisions accordingly. Of course, these business applications require a critical mass of users. A sample size of one foursquare member won’t do much good for my gym if they’re trying to gain some meaningful intelligence about their customers. With estimates of around 300,000 users now, foursquare may be on their way, but only time will tell about its long-term success. 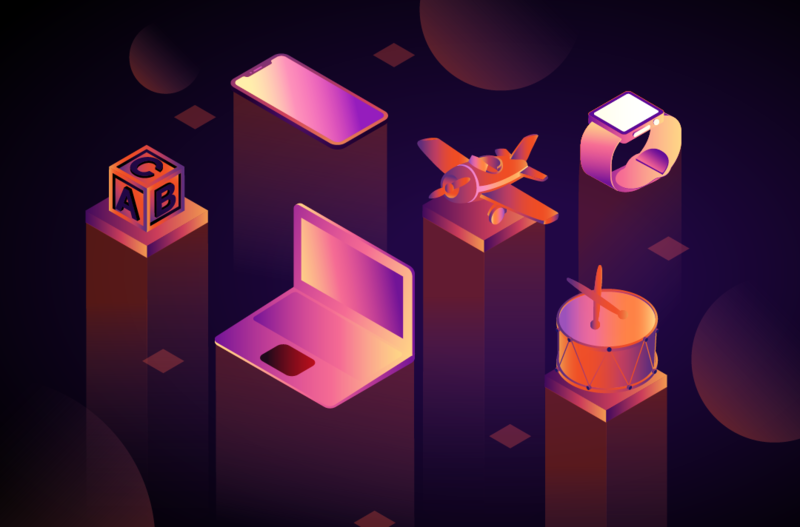 They’re not alone either – a number of competitors such as Gowalla and MyTown offer similar services, and who knows what Twitter and Facebook will ultimately do in the location-aware space. This critical mass is also key if one of the goals of the site truly is to be a “friend finder.” While early adopters make up the foursquare user base now, it will need to reach the general public to become a useful social tool. Not to end on a bummer, but there has also been quite a bit of chatter about privacy and security concerns with these kinds of location-aware applications. The cleverly-named PleaseRobMe.com is trying to raise awareness of the “telling everyone you”re not at home issue,” while others have expressed concern over the potential for “stalking” behavior. There’s enough to talk about on this subject for an entirely different blog post, so we won’t get into it here. Suffice it to say, checking in at 2:00am from a dark street corner in a shady part of town might not be the best idea. Although, you’d have a pretty good chance of becoming the Mayor. John Yesko is a User Experience Lead at Roundarch.